dMFX joins the pantheon of tools. 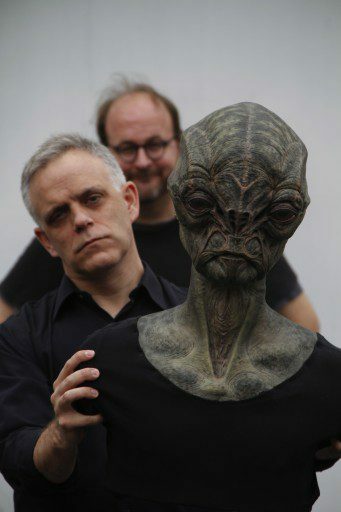 FXGuide.com ran a quick blurb on work I am leading at MastersFX for Steven Spielberg’s FALLING SKIES. Though not intended to be a news item, they introduced my Digital Makeup Initiative to the world, to some degree. The initial goal of the initiative is to put the tools developed digitally back in the hands of makeup creatives, instead of detached visual effects facilities. It is too easy to just wave the wand of the digital brush and eliminate all the work done on-set, when it can be completed by pushing past the physical limitations of the medium. Full CGI is often necessary, but there is a cost effective method in-between that has not been fully developed. The second goal is to establish digital makeup as a category of work. It requires a specialized skill set within visual effects, and deserves some recognition.